Telecommunications technology is driving a quiet revolution in health care, and nowhere is that revolution more evident than in the small hospitals of the American heartland. With the new telehealth systems, providers in rural care centers, who once might have been challenged to handle surges in patients or difficult cases—complex trauma cases from car accidents, for example—can flip a switch to connect their exam rooms, via high-resolution cameras and audio equipment, to highly trained emergency medicine specialists working from urban hospital hubs. One of the largest telehealth companies, South Dakota-based Avera eCare, already serves more than 10 percent of the rural hospitals designated as “critical access” care facilities because of their relative isolation. 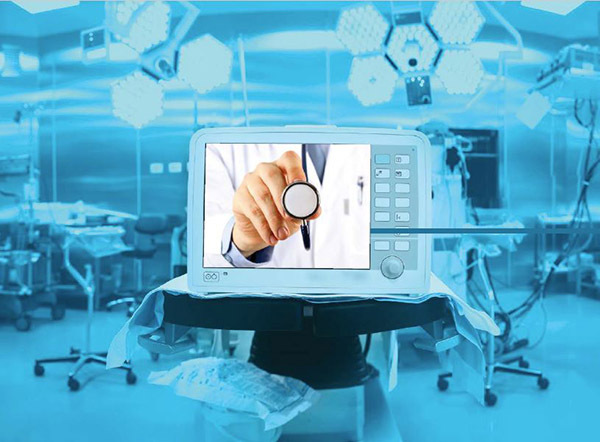 The initial rollout of telehealth systems in these hospitals has been helped in many cases by government or charitable grants to fund the installation of cameras and other equipment. But MacKinney says the ongoing cost to new client hospitals seems manageable, at roughly $60,000 per year for Avera’s eEmergency service, for example. “I’m not seeing a lot of pushback on that figure,” he says. The RTRC, a collaboration of the University of Iowa, University of North Carolina-Chapel Hill, and the University of Southern Maine, is funded by the federal Health Resources and Services Administration to evaluate the extent, outcomes, and challenges of telehealth in America’s more remote care centers. It has been one of the most active and prolific research institutions in this field. “The part of telehealth that we’ve looked at most extensively is its use in rural emergency depart­ments,” says Ward. She and her colleagues have found evidence that tele-emergency services help patients by increasing overall clinical care quality and reducing the time needed to deliver care. “Tele-emergency services are used for the most severe trauma cases,” says Nicholas Mohr, UI associate professor of emergency medicine. In one recent study of rural North Dakota hospitals, Mohr and his RTRC colleagues found that “when tele-emergency services were engaged, trauma patients were transferred out of rural emergency departments more rapidly than those for whom the services weren’t used,” he says. Telehealth also appears to deliver subtler but perhaps no less important benefits to hospitals and caregivers. For example, it can reduce the sense of isolation among providers at rural care centers, making them easier to recruit and retain. Moreover, telehealth allows the management within rural hospitals of many patients who would otherwise have been transferred immedi­ately to larger urban hospitals. That retention of patients can make a big difference to a hospital’s bottom line and its long-term ability to serve its community. Much like the early Internet, telehealth is now seeing a proliferation of services that can work through its new telecommunications medium. The RTRC’s researchers have recently examined or are now examining new specialty tele-emer­gency services that help client hospitals diagnose and treat specific acute conditions including sepsis (blood infection), psychiatric emergencies, and stroke. Beyond tele-emergency, telehealth companies are now offering services for outpatient clinics, prison medical clinics, school and university infirmaries, long-term care centers, pharmacies, and hospital intensive care units. As the RTRC has found in its studies, the spread of these telecom-enabled services has been hampered somewhat by their own novelty, and by factors that complicate American health care generally. “Issues relating to reimbursement, cross-state licensure, and lack of familiarity all tend to limit expansion,” says MacKinney. 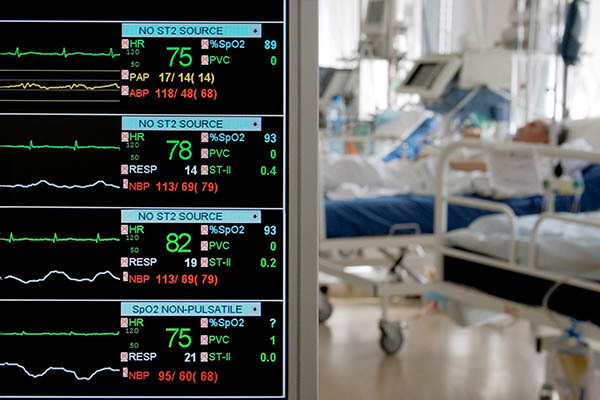 Even so, telehealth still seems to have consid­erable room to grow. Perhaps the best indicator of its broad potential is the success of the first telehealth service, tele-radiology—the transmission of X-ray, MRI, and other medical imaging data to off-site expert radiologists for interpretation. Tele-radiology was initially based on simple phone and fax-based telecom technology, but expanded rapidly after the introduction of high-bandwidth Internet in the early 2000s. These days it is so much a part of ordinary medical practice that it often isn’t even considered a telehealth service. “It’s almost ubiquitous now,” MacKinney says. This story originally appeared in the spring 2017 issue of InSight.